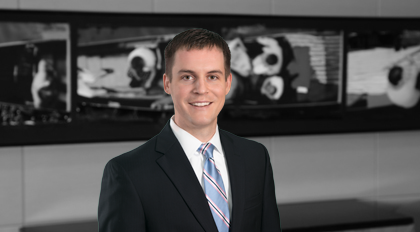 Matt Kain is a North Carolina Board Certified Specialist in Estate Planning & Probate Law. Kain represents clients with the development, implementation, and administration of sophisticated wealth transfer techniques that minimize estate, gift, generation-skipping, and/or income taxes, including irrevocable life insurance trusts, grantor retained annuity trusts, qualified personal residence trusts, dynasty trusts, sales/gifts to grantor trusts, family limited partnerships, limited liability companies, and charitable trusts. Kain also provides advice and counsel to clients involved in specialized situations such as judicial and non-judicial modifications of irrevocable trusts, irrevocable trust “decantings,” tailored estate planning for non-U.S. citizens and non-resident aliens, insurance planning, charitable planning, premarital planning, and special needs beneficiaries. Additionally, Kain has extensive experience representing 501(c)(3) nonprofit organizations in all aspects of formation, administration, and management. He advises public charities, private foundations, and other tax-exempt organizations on choice and creation of appropriate charitable entity, application for tax-exempt status, and ongoing governance and compliance matters. Kain is the former chair of Moore & Van Allen’s Young Professionals Committee and is active in the firm’s mentoring and recruiting programs, serving as a mentor for junior associates and summer clerks. He and his wife, Sarah, have twin daughters and a son, and are active members at Christ Episcopal Church in Charlotte.